We are a general dental practice that focuses on children’s dental health. We have dedicated our careers to establishing a dental home for your children and strive to make each visit for you and your child informative and fun! We strive to provide personalized dental care for each patient, which allows us to provide high quality dental services for our patients. With comprehensive treatment planning, we strive to help all our patients achieve the maximum dental health benefits. In case of an emergency, we will make every effort to see you as quickly as possible. We believe in the concept of preventive care and education when it comes to optimal dental health. Our goal is provide your child with a dental home where prevention, rather than disease care, is emphasized. We understand that routine cleanings, flossing, and fluoride are very important factors in preventing dental disease. We focus not only on the beauty of your child’s smile, but their overall health as well, and we take pride in taking that little extra time to educate you and your child on proper brushing and flossing techniques as well as the importance of a proper diet. Your child’s dental health is important to us, and as dental health professionals, we want you to be confident in our training and expertise as skilled general clinicians. In order to maintain the high level of service and results that you demand and deserve, we are continually updating our education by participating in relevant dental lectures, meetings, and conventions so that we remain in full awareness of any new techniques, products, and equipment that become available so that we can provide the highest level of care for our patients. This allows us to perform methods that previously only a pediatric dentist in Charleston can do in a surprisingly safe and efficient manner. We want to build a foundation of trust with our patients and parents alike. Some children naturally feel uneasy about dental visits, so we strive to make their visit as positive and fun as possible. Each of our staff members is dedicated to making sure that you and your child have excellent personalized care in order to make your visits as comfortable and pleasant as possible. 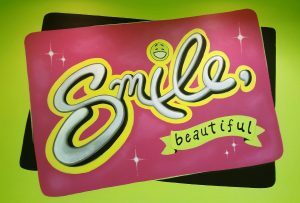 We at Charleston Smiles appreciate your faith in us, and thank you for the opportunity to take care of your child’s dental needs.